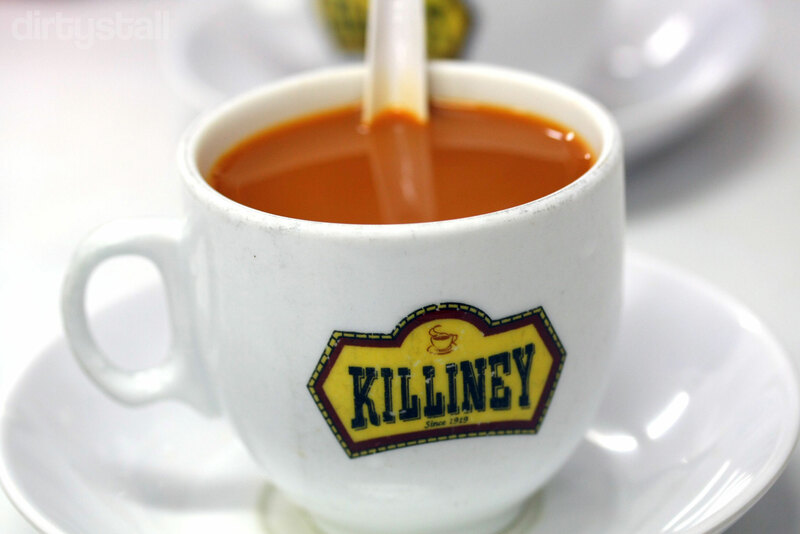 Killiney Kopitiam is one of the old style kopitiams where you can still go to experience a traditional breakfast there. It was a Hainanese kopitiam that was founded in 1919 and still provides the same well-brewed coffee and tea, as well as charcoal-grilled toast bread with their home-made kaya. This kopitiam is undoubtedly popular with many people and it is crowded at all times, especially in the early mornings when people come to get a quick bite before heading off to work..
Of course besides the drinks, there are the eggs! Crack them for some half-boiled goodness! Thankfully Killiney provides soy sauce, which I prefer to the dark sauce which is only served at other places (like Yakun or Toast Box). 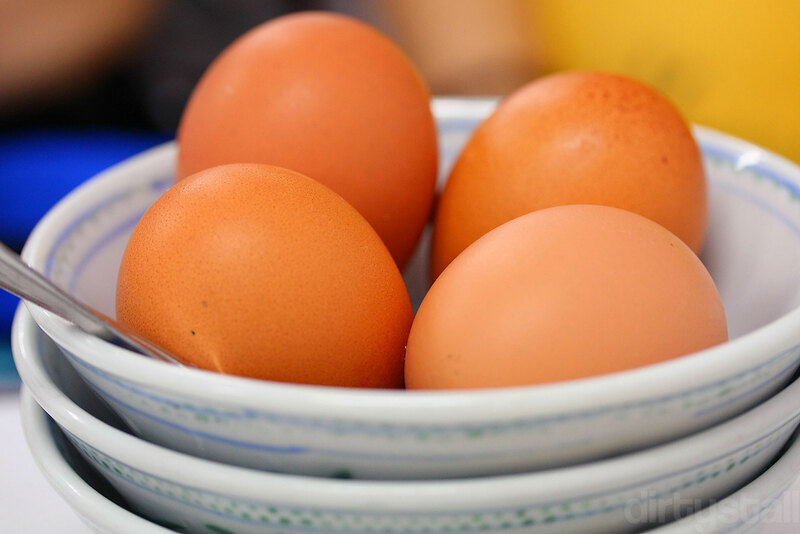 The eggs at Killiney do tend to be smaller but have larger yolks than normal. The famous charcoal-grilled kaya toast. Killiney makes the toast and kaya by themselves, hence the thicker portions and delicious kaya. Biting into the crunchy toast, I get bursts of flavour from the butter and kaya, melted from the warmth of the bread. Besides the mainstays of toast, coffee and eggs, Killiney has also branched out to provide many other kinds of dishes. Curry chicken is one of them and Killiney provides their own toasted French loaf which has a wonderfully rustic taste to it. 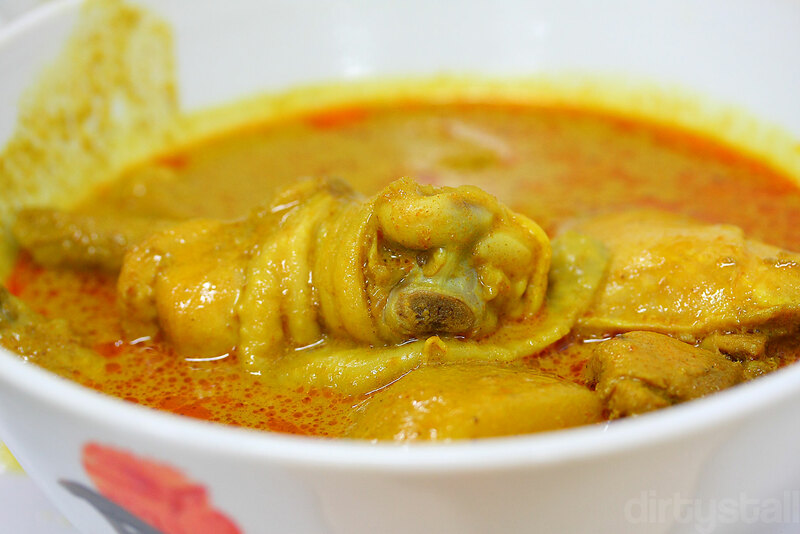 The curry is rather intense and thick, but it tastes great as you soak it up with the French loaf and eat it with the tender chicken. This is really a nice place to feel the energy of the Singapore mornings, amidst the hustle & bustle of Orchard Road. And of course, a great place to have your breakfast also! 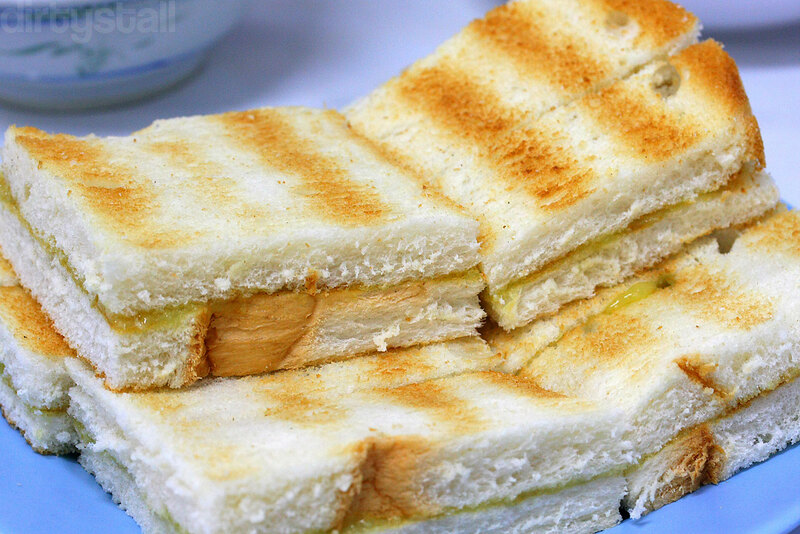 6 Responses to "Breakfast at Killiney Kopitiam"
I don’t like Yakun’s brown bread toast. I still like Killiney’s soft & fluffy bread. Have the tried the fresh steamed bread? It’s even nicer. Hmm… but I see dark soya sauce in your eggs. Why do you say it’s light soy & not dark soy? 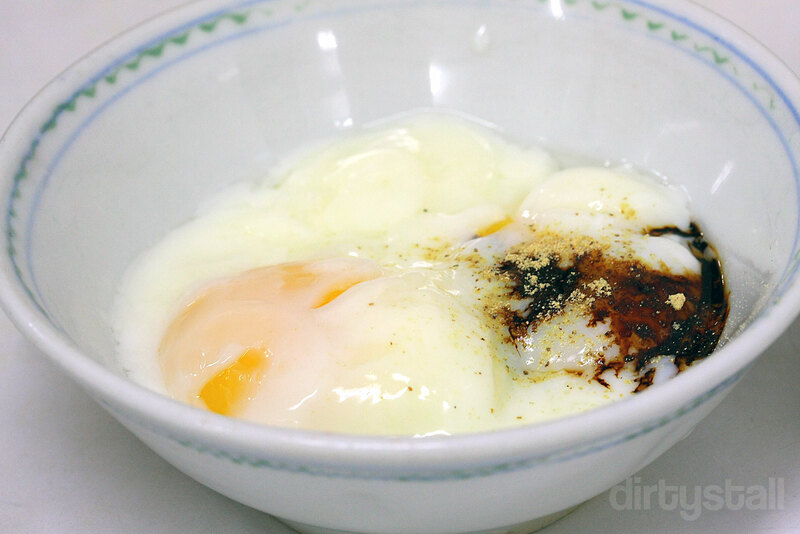 Soft boiled eggs only go well with dark soy sauce & lotsa pepper! Yeah I like Killiney’s bread and toast the most out of all the kaya toast shops. Too bad Killiney’s main outlet has bad ventilation and it’s quite hot inside! Hi, I was at the Tanglin branch for the first time & had coffee with the “halal” tim-sum. I was told by the friendly aunty that the stall serves halal cut chicken for the menu. I would appreciate your kind confirmation here as I did not see halal cert displayed there. Tks N rgds. I have no idea honestly, since I don’t look out for such things. I’ll check it out for you next time I visit them.